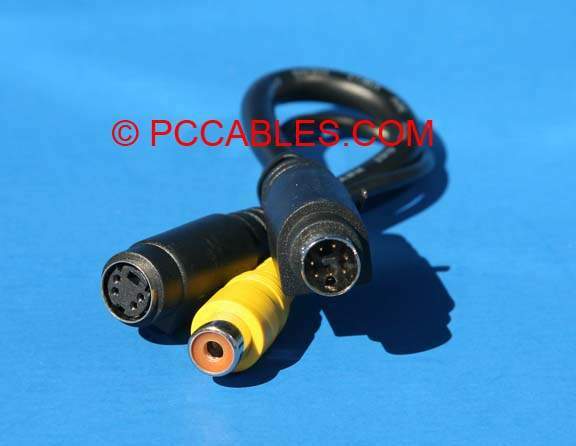 One female RCA Composite Video Jack and One female S-Video 4-pin mini DIN jack for the Destination or Display End. This adapter is used on some ATI cards to output either the S-Video signal (on the 4-pin mini DIN) and the Composite Video on the RCA Jack. Adapter used on many Compaq computers that bundled the ATI board. Some models of the Compaq Presario 53XX computers require this adapter.